Dock at Palm Harbour Marina, West Palm Beach. Car service from airport to yacht. Charter starts at noon. Lunch aboard, prepared by your charter yacht’s Private Chef. Afternoon of tubing, wakeboarding, and jet-skiing. Shopping in West Palm Beach. 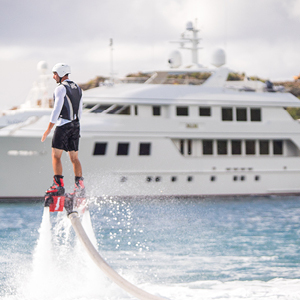 Hors d’oeuvres and Dinner aboard your charter yacht. 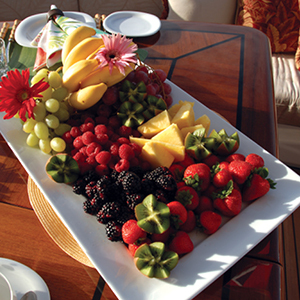 Breakfast aboard your the yacht. 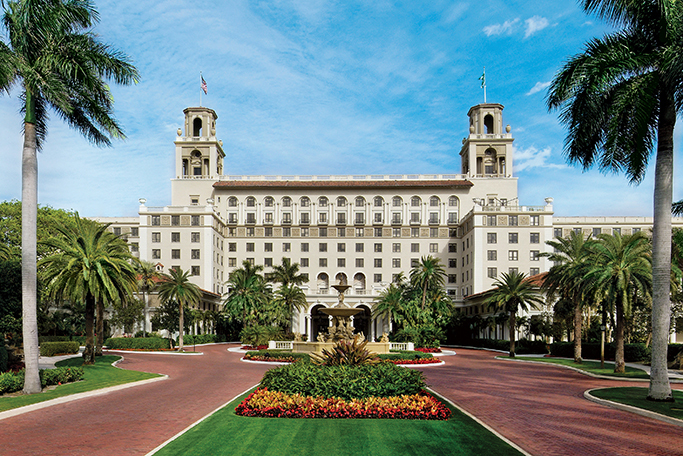 Depart for Fort Lauderdale around 10am (Travel time: 3 hours). Arrival to Bahia Mar Yachting Center. Watersports and fishing. Steps from the beach and local shopping. Hors d’oeuvres and Dinner aboard. 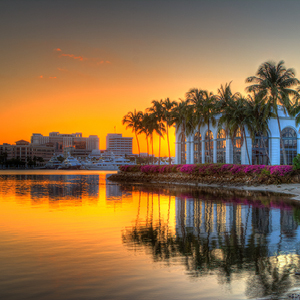 During breakfast, you’ll cruise up the Historic Fort Lauderdale New River. 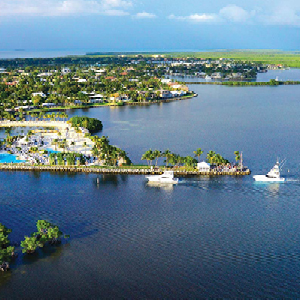 Depart for the Ocean Reef Club in Key Largo (Travel time: 3.5 hours). Arrival at The Ocean Reef Club. Explore the beautiful resort by golf cart or by water with your tender. 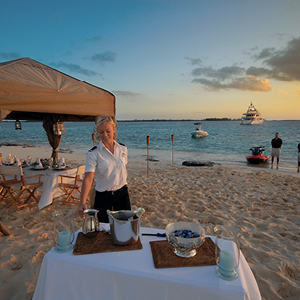 Dinner ashore at Ocean Reef’s members-only Gianni Ristorante. Water sports, jetski, fishing, wakeboarding, paddle board through the Ocean Reef Club resort, golfing, beach, or lay by the pool/Jacuzzi. 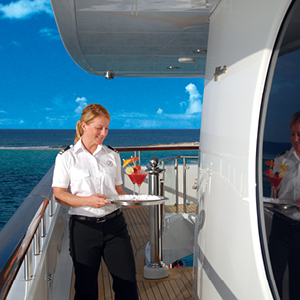 Your Captain can book treatments at the Ocean Reef Member’s Spa. Cruise a few miles south to anchor outside of the John Pennekamp State Park. Lunch aboard, or have a lovely picnic in the park. Swimming and snorkeling, water sports, hiking at the park, visit the aquarium, paddle boarding, kayak through the park. Return to the Ocean Reef Club. Depart for Miami Beach (Travel time: 2 hours). Underway, we will travel through the historic town of Stiltsville. Dock at Miami Beach Marina. 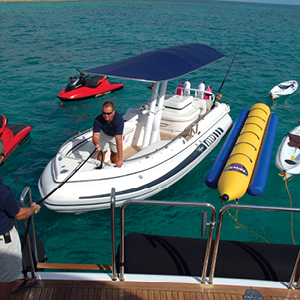 Watersports, jetski, beach, shopping, explore downtown Miami Beach. 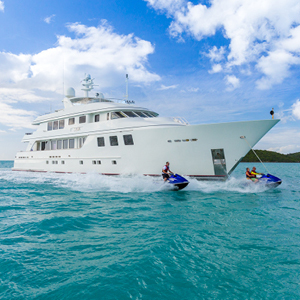 Cruise the waters of Miami Beach, Downtown Miami, and pass by Star Island. Return to Miami Beach Marina before dusk. Charter ends at noon, car service to Miami Airport.